Looking for the perfect accessories for your wedding? 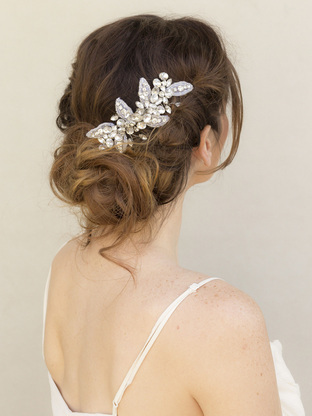 We love HAIR COMES THE BRIDE accessories for bridal hair and jewelry-- the pieces are absolutely stunning and their service is amazing!! Take 10% OFF your total order, including sale items, by using the code "madeup" at checkout!